Do you and your spouse desire a relief from the hustle and bustle of life? 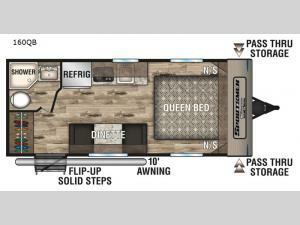 If so, check out this KZ Sportsmen Classic 160QB travel trailer! 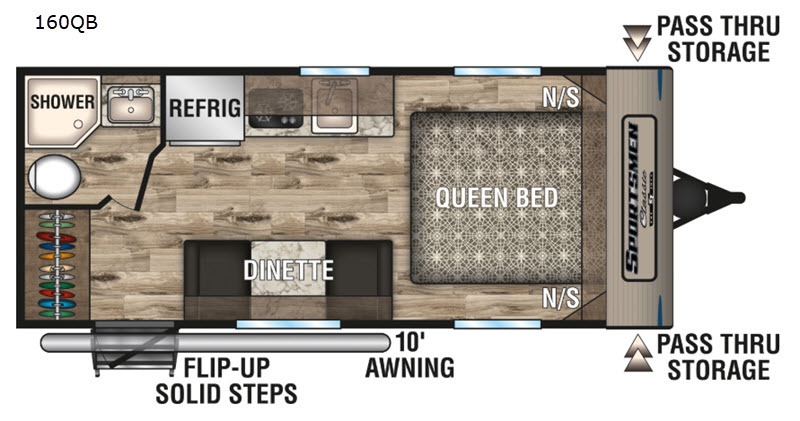 It is the perfect unit for your weekend getaway. You will enjoy the comforts of home without the hassles of it. One of those comforts is the cozy queen bed with nightstands on each side. The LED lighting gives you the ability to see each feature clearly whether day or night. During the day, you can relax outside underneath the 10' power awning and enjoy your favorite summer drink. If you're into fishing or hiking, you can keep all of your gear in the pass-through storage and easily access it whenever you need to.